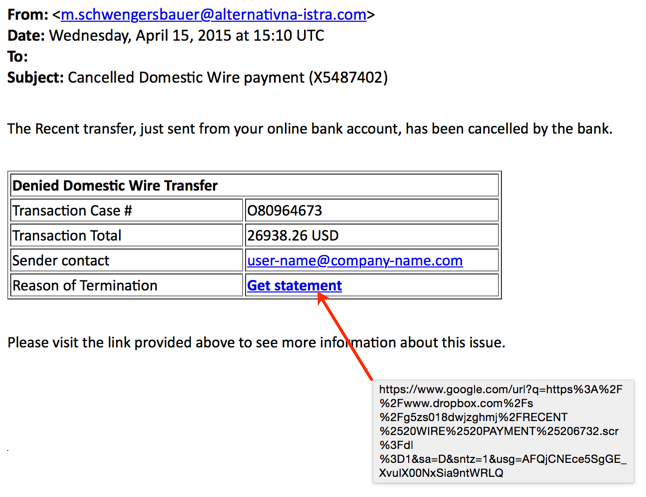 This particular Dridex run had links in the emails that were Google redirects to Dropbox URLs. See the above spreadsheets for examples of the links. I used PAYMENT 5220.scr (MD5 hash: a64b18e46ea87abce4bf784d1b9a99c8) to generate the above traffic. In another test environment with the same malware sample, I also got Dridex-style URLs to 213.138.124.13 and 79.168.145.215.